Custom Business Sign System and Post - - helps your business or professional office stand out in the crowd. Sign not included. 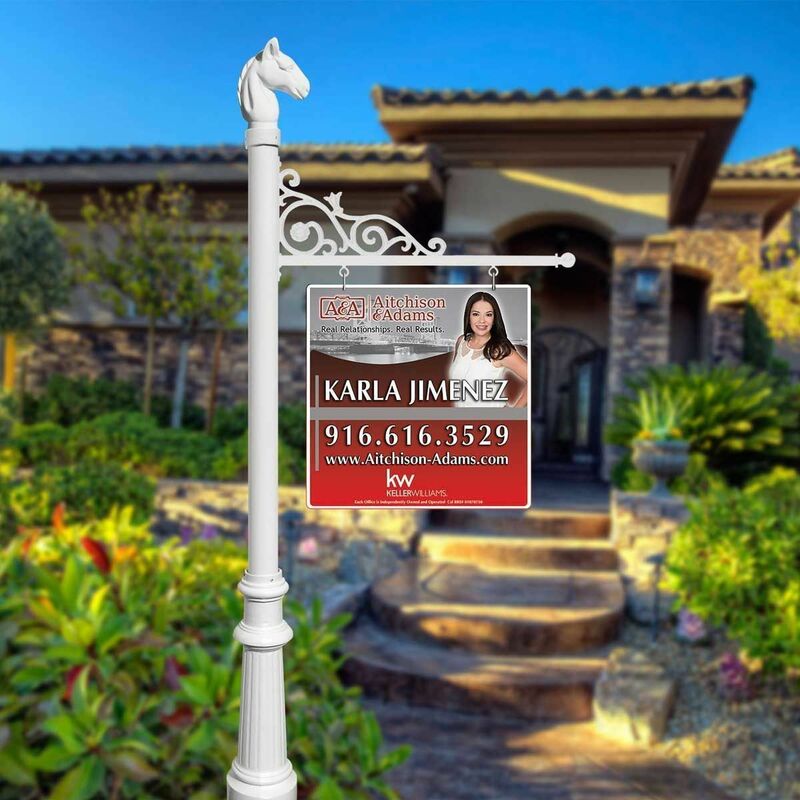 Signage system comes with decorative finial, base, and scroll arm ready for your own hanging sign. You provide the hanging sign. Sign not included. Cast aluminum sign posts promise to outshine competing wood and vinyl alternatives. Post protected by a durable, low-maintenance powder-coat finish in black or white. Finial styles: pineapple, ball, and horsehead. Easy installation with ground-mounting spike or in-ground direct burial base extension. Length of scroll arm: 22.5"
Distance between post and first hole: 3". Distance between holes on scroll arm: 13.5". Also available with a solar lamp instead of the finial (see Related Products). Cast aluminum products are first poured in a sand mold that does not allow perfection in every detail. These "accidentals of art" lend an Old World charm to each piece. In effect, each piece is a unique creation.